According to a recent article form CBS Sports, an NBA player, Greg Monroe, urinated on himself after being arrested for drunk driving. Monroe was pulled over by police for driving with a headlight out. He is alleged to have told police that he is trying not be in the newspaper for drunk driving. He told police that he plays for the Detroit Pistons. 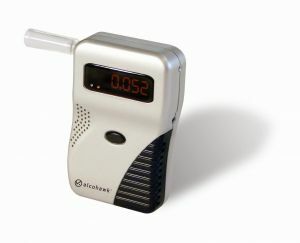 Monroe failed several field sobriety tests, according to police, and agreed to blow into a breath-testing machine. His blood alcohol content was 0.089 at the time of testing. While Monroe was arrested in Michigan, the legal limit in every state, including the Commonwealth of Massachusetts, is 0.08 grams of alcohol per 100 milliliters of blood. Our drunk driving injury lawyers in Massachusetts understand that a legal limit of .08 grams is not a random number. Congress established this limit after Mothers Against Drunk Driving (MADD) and other interested parties and organizations led a national lobbying effort backed by vehicle crash data supported by numerous studies and research. The National Highway Traffic Safety Administration (NHTSA) performed extensive studies of drunk driving arrests with the assistance of police and several universities. The majority of the studies were conducted in the 1970s and have been updated in the years since release of the initial findings. NHTSA used the results to develop standardized methods for administering and interpreting the results of field sobriety tests. NHTSA also looked at how drivers were affected by the consumption of alcohol and at what BAC levels drivers were more likely to cause an alcohol-related car accident. At a level of .08, it was found that drivers experienced a delayed reaction time, a lessened ability to concentrate on more than one task at a time, and impaired judgment. All of these make it difficult to safely operate a motor vehicle, thus resulting in more drunk driving car accidents. As BAC levels rise above .08, the ability to safely drive a car becomes even more difficult. When a driver has a BAC of .20 and above, which car accident lawyers often see in these types of cases, a driver will experience serious impairments in his or her cognitive functions, loss of bladder control, may pass out or black out while driving, and is very likely to be involved in a crash. Once BAC levels reach .30, respiratory failure, central nervous system failure, and death are possible. Accidents involving a driver with a BAC well above the legal limit often result in severe bodily injuries, permanent paralysis, and death. Damages in these cases typically involve pain and suffering, loss of wages, past and future medical expenses, funeral expenses, and loss of consortium, as well as other special damages. While every case is different, and you should speak with your car accident lawyer about the facts that pertain to your situation, one of the most important things you can do if you were involved in an alcohol-related crash that was someone else’s fault, is to not speak with the driver’s insurance company, including making a recorded statement, until you are represented. The insurance company is only interested in settling cases for as little money as possible and the well being of you and your family is not likely a priority.